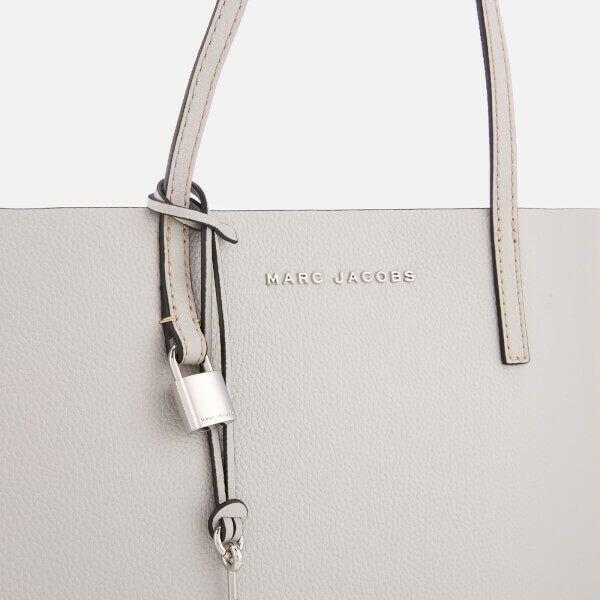 Grey pebbled leather tote bag from Marc Jacobs. 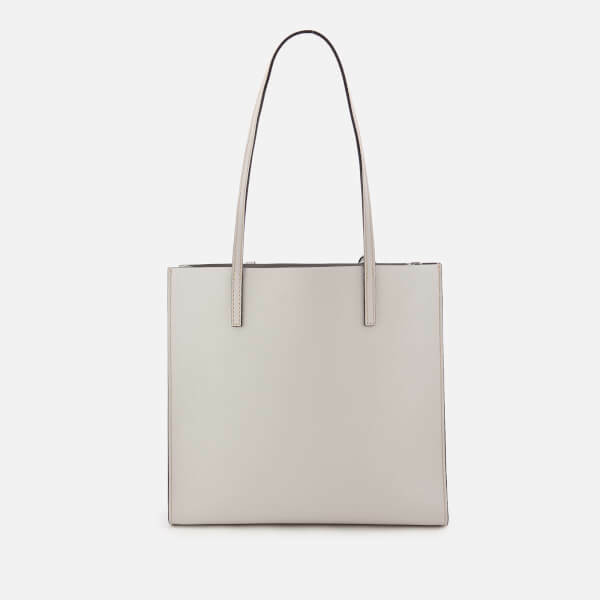 Designed with a spacious interior, ‘The Grind’ shopper bag comprises two compartments divided by a diagonal zipped compartment, and a branded cardholder pocket and slip pockets to either side. 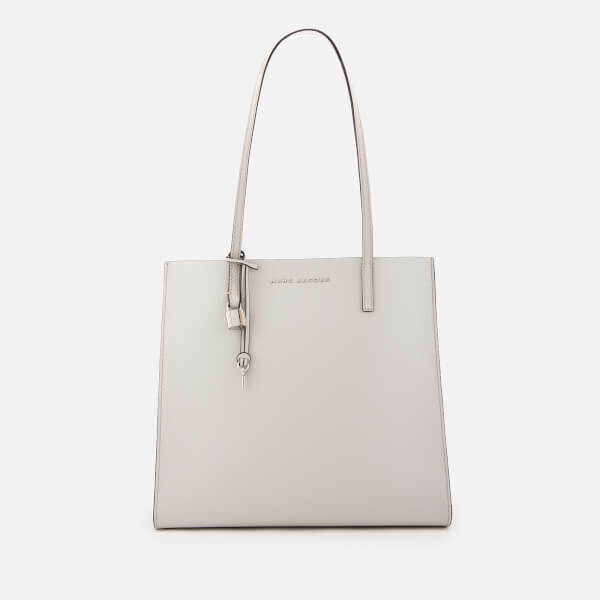 Transported with two long drop handles, the bag is detailed with contrast stitching throughout, silver-tone hardware and signature metal branding to the front. Complete with a lock and key charm. Presented in a branded dust bag. Dimensions: H: 34cm x W: 31.5cm x D: 14.5cm. 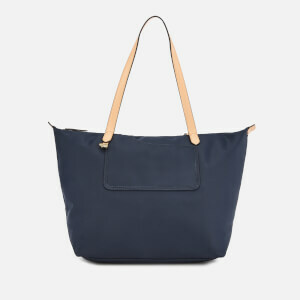 Handle Drop: 26.5cm.